These not so sweet, gluten-free sweet potato cheese cupcakes are soft. delicious, and healthy. 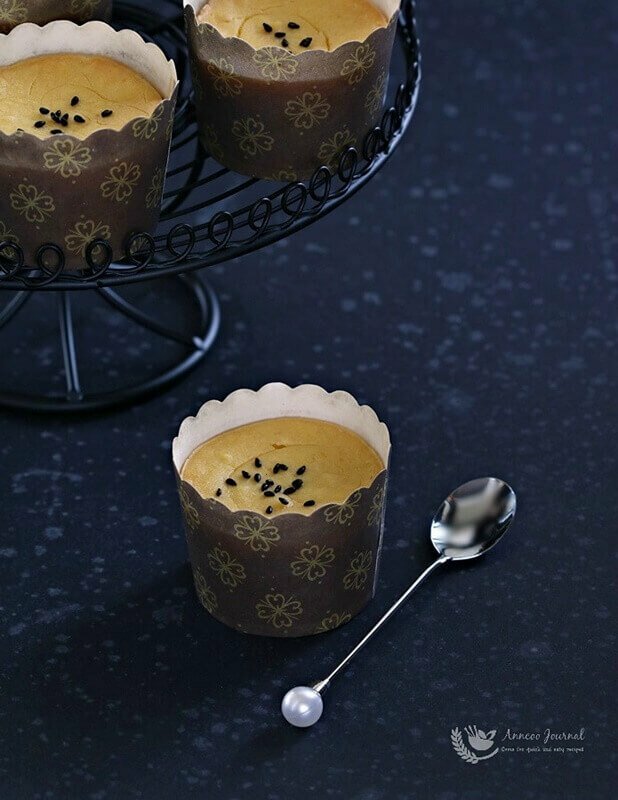 It is so easy to make these cupcakes as no electric mixer is needed. 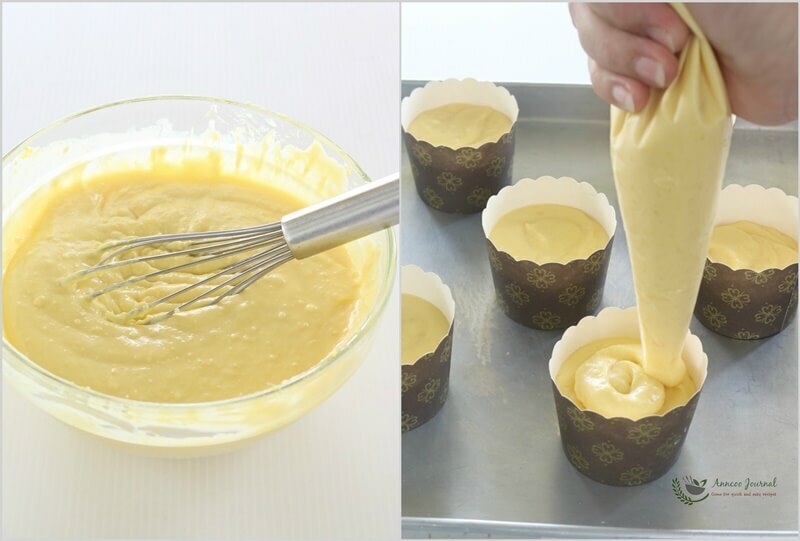 The soft, custard-like texture just melts in your mouth after they are baked. 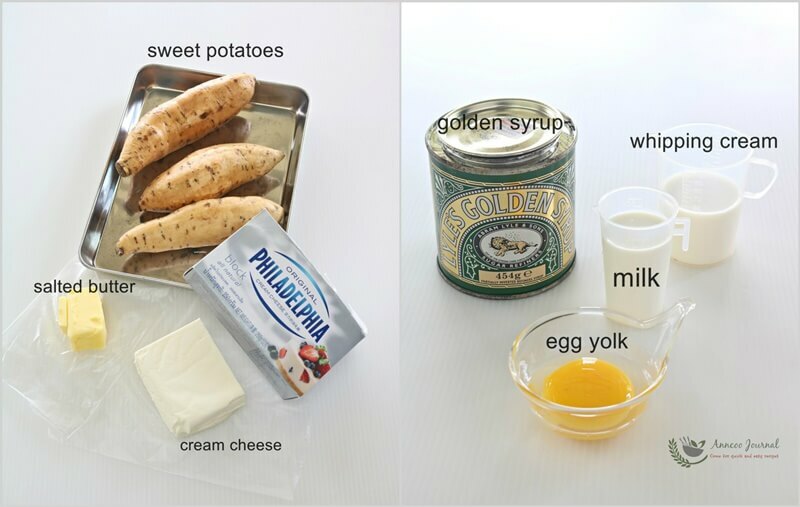 The combination is perfect, with the nice aroma of the sweet potato and golden syrup. 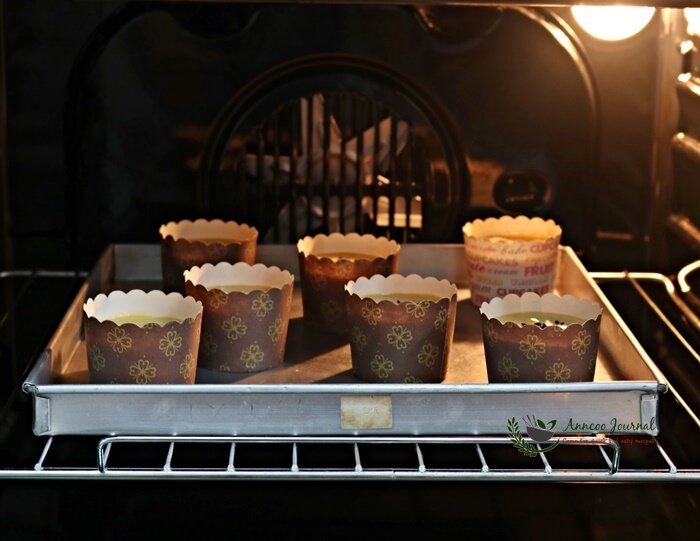 They are great to serve for any occasion, as these cupcakes can be baked one or two days ahead and be stored in the refrigerator before they are served. Steam sweet potato to soft for about 20 minutes. Remove skin and mash sweet potato with a fork. Then blend with cream cheese and butter to smooth. 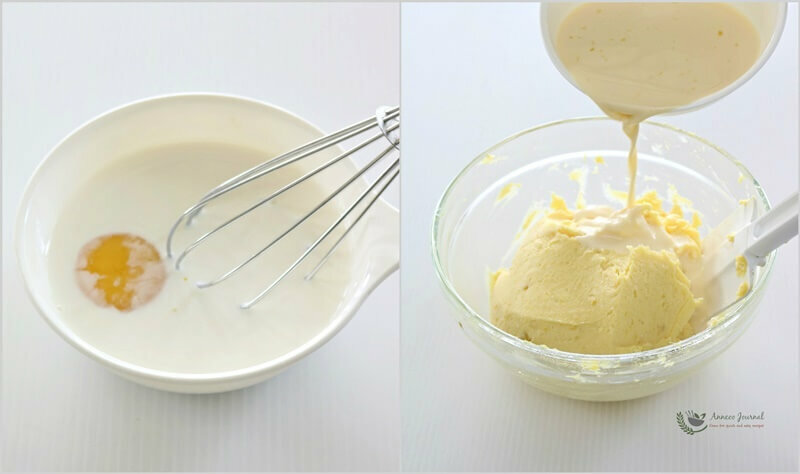 Combine egg yolk, milk, whipping cream, and golden syrup in another bowl, stir well. 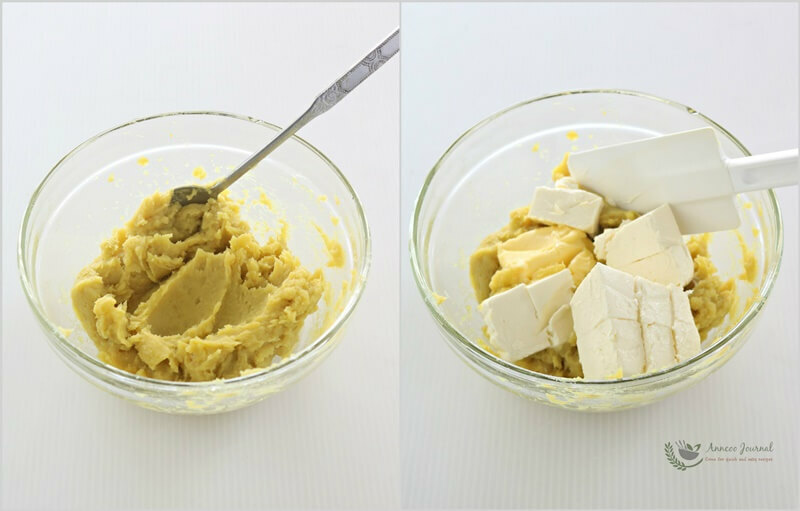 Pour egg yolk mixture into step one and blend to a smooth dough. Then scope dough into piping bag and pipe into 6 or 7 mini cupcake liners evenly. 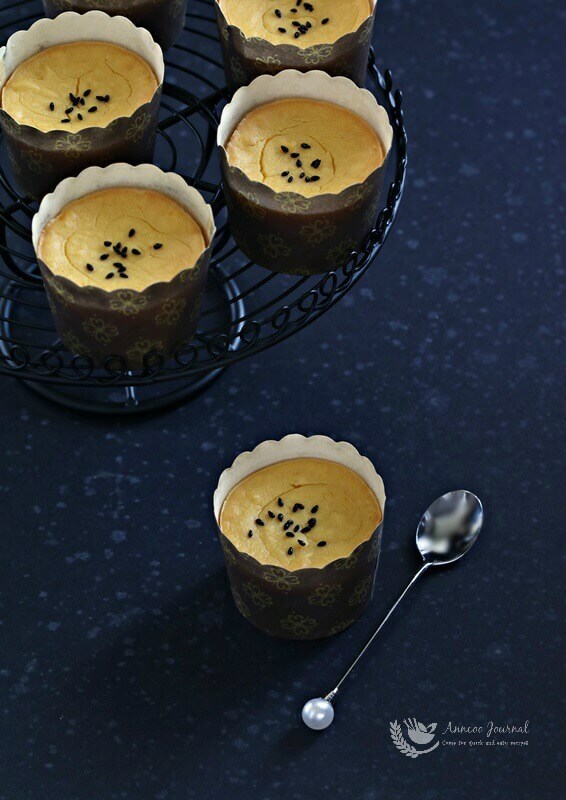 Sprinkle some black sesame seeds on top and bake in preheated oven at 170 deg C for about 30-35 minutes. Thank you for sharing ..they look lovely.. Thanks for sharing! I enjoy wonderful potatoes … and I like the soft and luscious texture. They look so cute and neat and must be delicious! They look so beautiful! I love the soft and creamy texture. Hi Wendy, Yes you can change the whipping cream to milk if you prefer. Ann, I want some! 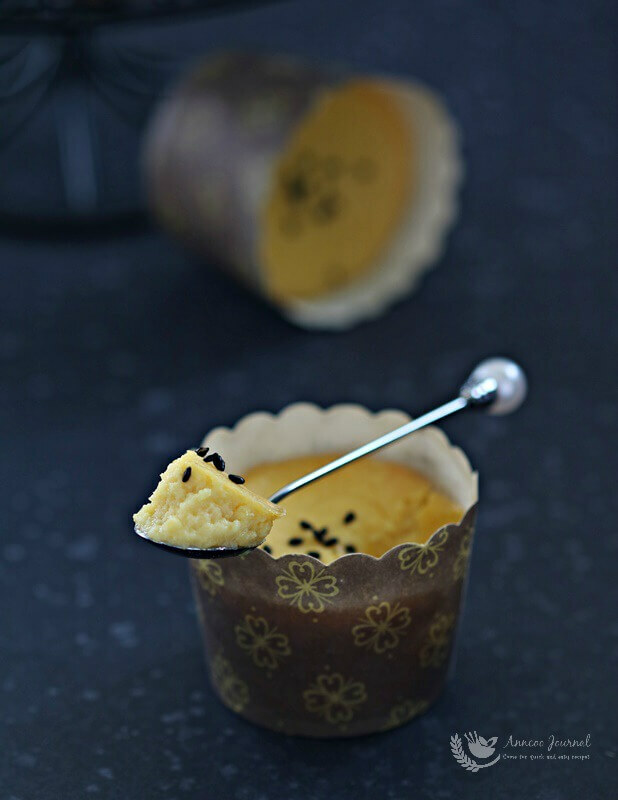 It would also be nice to use pumpkin and it is also sweet and creamy.